Snooker is one of the main cue sports as it has become very popular in the last decades. This popularity has made of Snooker one of the main professional competitions and its tournaments have followers from all over the world. The main championships are celebrated in the United Kingdom as the British society thinks about this sport as a tradition. In spite of this, many other countries in the world are hosting Snooker any kind of competition such as championships, leagues, tournaments, opens, events that cover from the professional world to the amateurs'. The most important Snooker tournaments are World Snooker Championship, UK Championship, Welsh Open, China Open, Shanghai Masters, World Open, German Masters, Players Tour Championship – Finals, Australian Goldfields Open, Wuxi Classic, International Championship, Players Tour Championship, Paul Hunter Classic, Scottish Open, Masters, World Cup, Premier League Snooker, Championship League, World Seniors Championship, General Cup International, Snooker Shoot-Out and Six-red World Championship. Sports betting sites have also brought in their own tournaments like the gambling firm 888sport.com with its Six-Red World Championship. Pool sports are quite popular these days and the main competitions have been broadcast on various international TV stations and via internet. Pool sports are more common and competitions can be found anywhere in the world at any time. 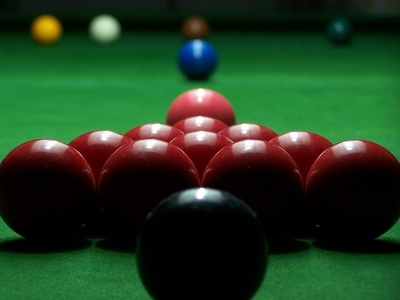 Some of the most relevant Pool tournaments are China Open, Euro Tour, Guinness World Series Speed Pool, BlackBall Tour Event, Ultimate 10-Ball, Asian Indoor Games, Panamerican 9-Ball Championship, U.S. One Pocket, U.S. Open 14.1 Pocket Billiards Championship, U.S. Open Bank Pool Championship, U.S. Open Seven-ball Championship, U.S. Open Eight-ball Championship, U.S. Open Nine-ball Championship, U.S. Open Ten-ball Championship, WPA World Artistic Pool Championship, BlackBall Tour, World Games, European Championships, 9-Ball WC, World Cup of Pool, International Challenge of Champions, International 10 Ball, World Pool Masters, 10-Ball WC, European Open (TBA), All Japan Championship or Mosconi Cup among others. When we think about sports, it is practically impossible not to think about bets. We associate the concept of betting when talking about sports because of the essence of sport itself, competition and awards. Sports betting sites are nowadays the best places where pool and snooker fans can follow the main events and competitions live. These online sites offer the opportunity to play from home at all kind of betting odds. The most relevant Sports Betting online sites in the world are without doubt Unibet, Bet365, Betfair, Ladbrokes, Bwin, William Hill or Sportingbet, among others. For US residents, it is now legal to play on sports betting sites. Each US state set its own rules for online sports betting. For example, the state of New Jersey allows, among others, SugarHouse and BetStars sites to offer NJ sports bettting to residents of the state. For more information, the Legal Gambling USA website is a reference for knowing the authorized sites in the different US states.